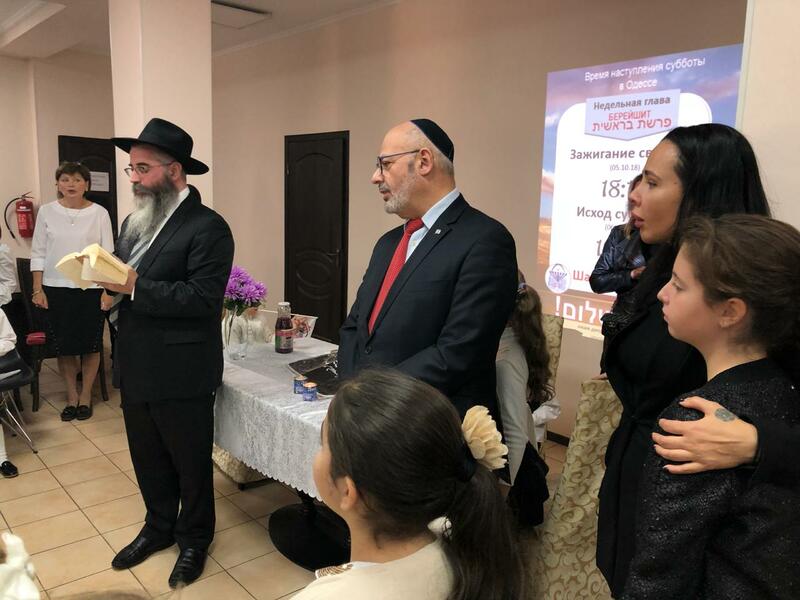 FJC’s ‘Or Avner’ school and the ‘Mishpacha’ Children’s home in Odessa, welcomed the ambassador of Israel in Ukraine Mr. Yoel Leon and the Israeli general council of the city, Mrs. Ilona Hilkovsky last Friday. The honorable guests visited school classes and took part in the traditional Shabbat-welcoming ceremony. They also attended a memorial service at the children’s home held in the honor of Mr. Boris Kogan, a major supporter of the institution, who passed away one year ago. Mr. Kogan’s widow and daughter also attended the ceremony. “It was important for the ambassador to visit the Jewish Children’s home and also get to know the community closer,” said Mrs. Hilkovsky in an interview to the local news channel during the visit. Ambassador Leon stayed on in Odessa for Shabbat, admiring the growth and wide activity of community life in the city. Odessa’s Mishpacha Children’s home opened its doors 17 years ago. Since then it has provided hundreds of the region’s children with a nurturing and welcoming environment. In 2016 a new 4-story dormitory for girls with classrooms, a dining room and bedrooms was opened with the help of the Kogan family.